Apple delayed preorders of its new premium iPhone X until this Friday, and now the big wireless carriers have started announcing their deals. Pre-orders start on Oct. 27, with deliveries starting a week later on Nov. 3. But customers may have to wait days, or even weeks to get their hands on the hot new phone amid rumors of component shortages. Without any special deal, the new iPhone X starts at $999 with 64 GB of storage, a $300 premium over the smaller screen iPhone 8. The more expensive X model is completely redesigned on the exterior and has a few upgrades from the 8 line up, including a 5.8-inch OLED screen, a better telephoto camera and facial recognition unlocking. So far, the carriers’ deals both on the X and on the 8 models are not nearly as generous as last year, when most offered a free iPhone 7 with the trade in of another recent model iPhone. That’s part of the reason why the new iPhone upgrade season hasn’t led to as many customers switching networks as in the past. Sales of the iPhone 8 Plus have also been disappointing, but that may be because more customers than expected are holding out for the higher-priced model. At T-Mobile, the company isn’t offering a direct discount, but it says it will give a credit of up to $300 for iPhone X buyers who trade in a recent vintage used iPhone. The credit is paid out over 24 monthly installments. The deal so far is the same offer that T-Mobile made to iPhone 8 buyers. Verizon (VZ, -1.05%) like T-Mobile, said it would give up to $300 in credit to iPhone X buyers who trade in a recent model smartphone. The offer applies to new or existing customers who sign up for the carrier’s unlimited plan. Sprint (S, -1.08%) said it would give a credit of $350 paid out over an 18-month lease for new iPhone X buyers if the customer traded in a recent vintage smartphone. That means customers would pay $22.22 a month for the iPhone X instead of $41.67. 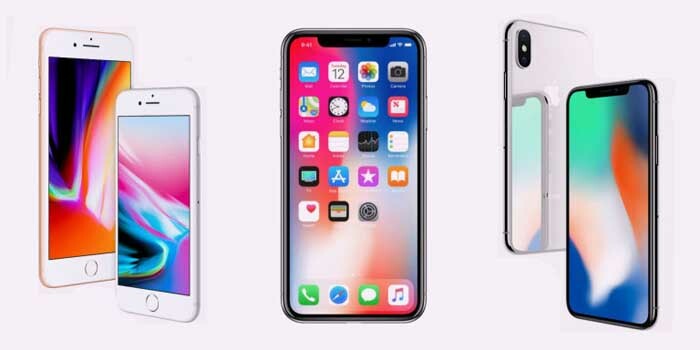 Unlike purchase arrangements at other carriers, Sprint’s leases require the customer to turn their iPhone in at the end of the 18-month term or make a lump sum payment (customers can also upgrade their phone after 12 months).